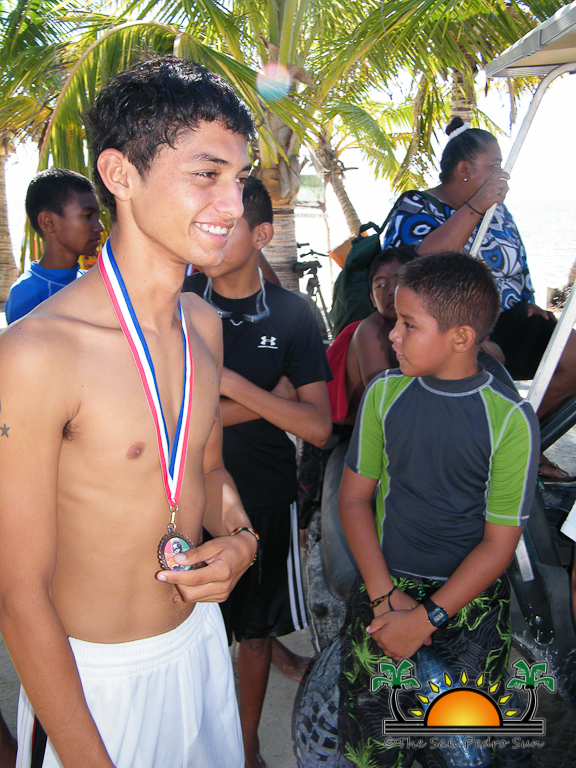 Well known up and coming San Pedro athlete Eric Donis is the winner of the second annual Duathlon Lionman Competition organized by the Poor and Famous group. 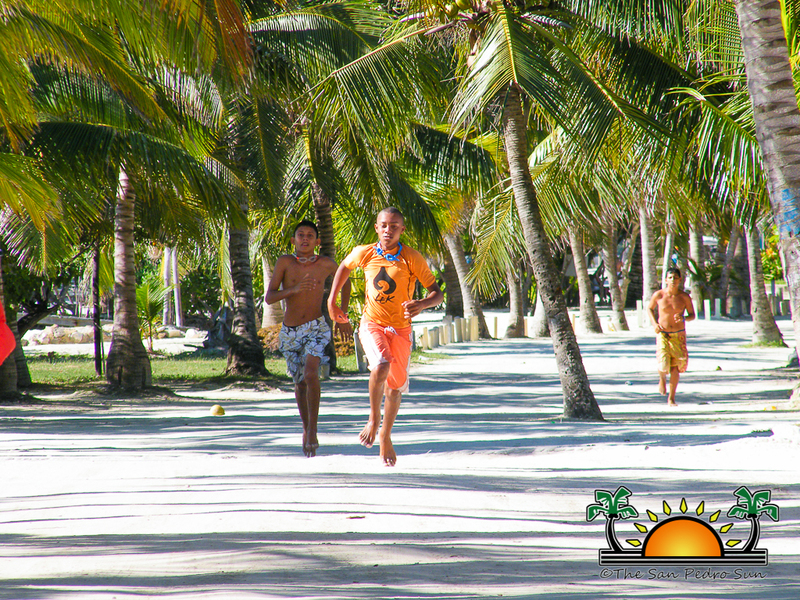 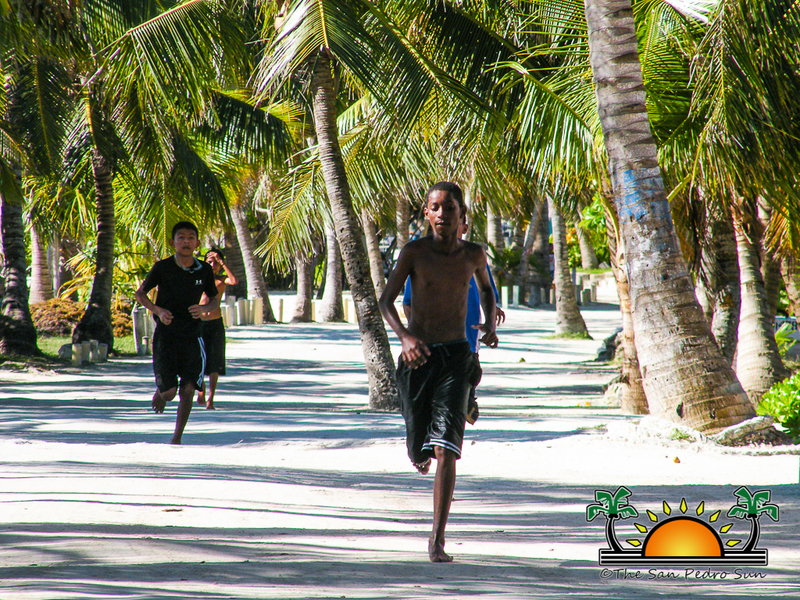 The event’s main purpose is to get the young people of the island positively involved in recreational activities as an alternative to drugs and alcohol. 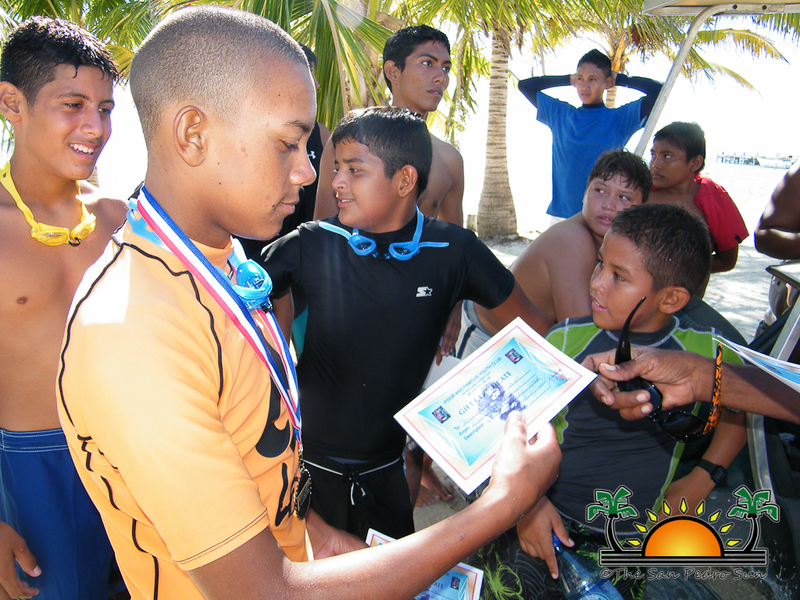 A total of 18 young athletes decided to participate in the event which took place on Sunday, September 30th. 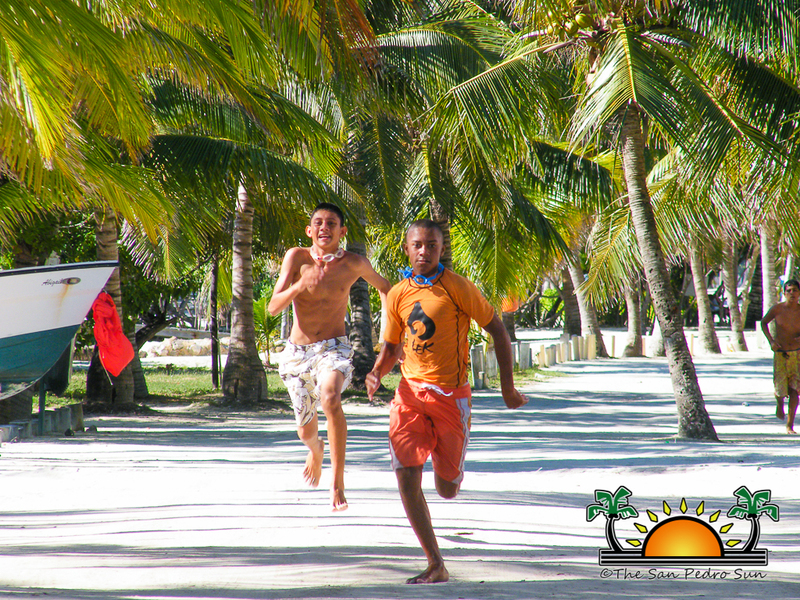 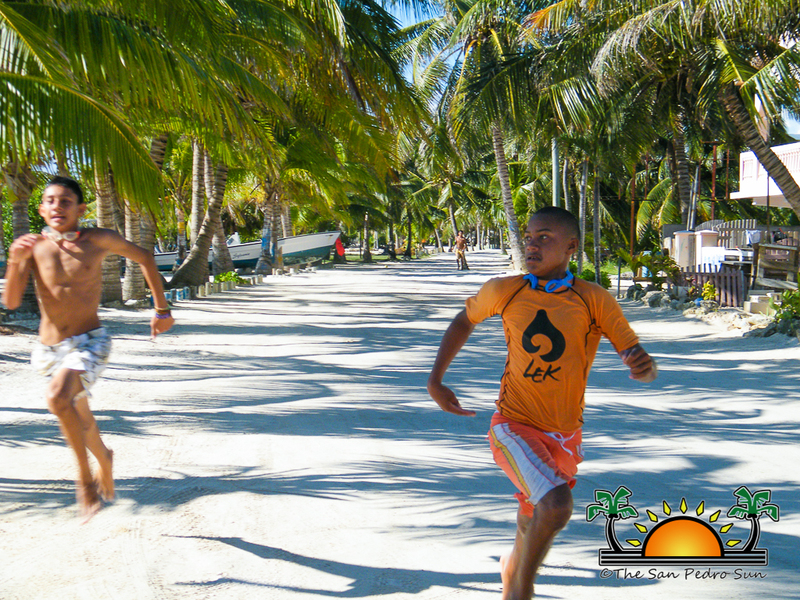 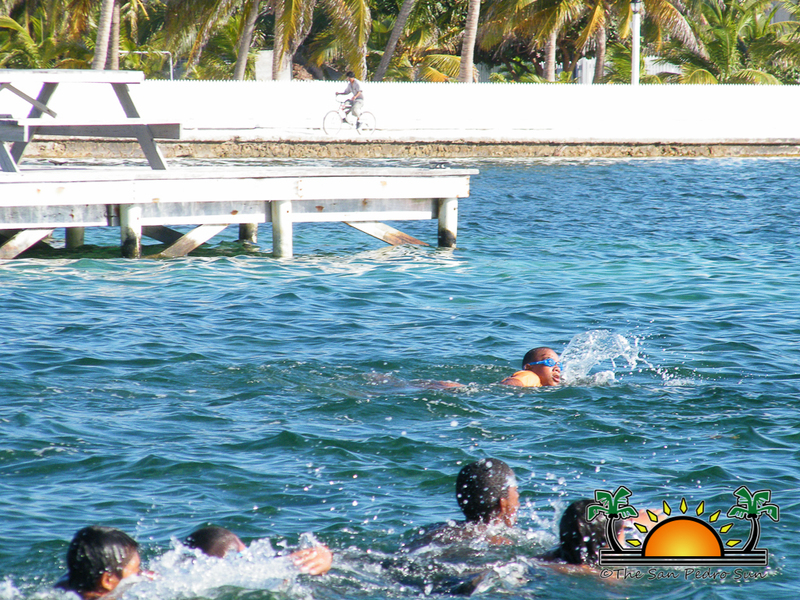 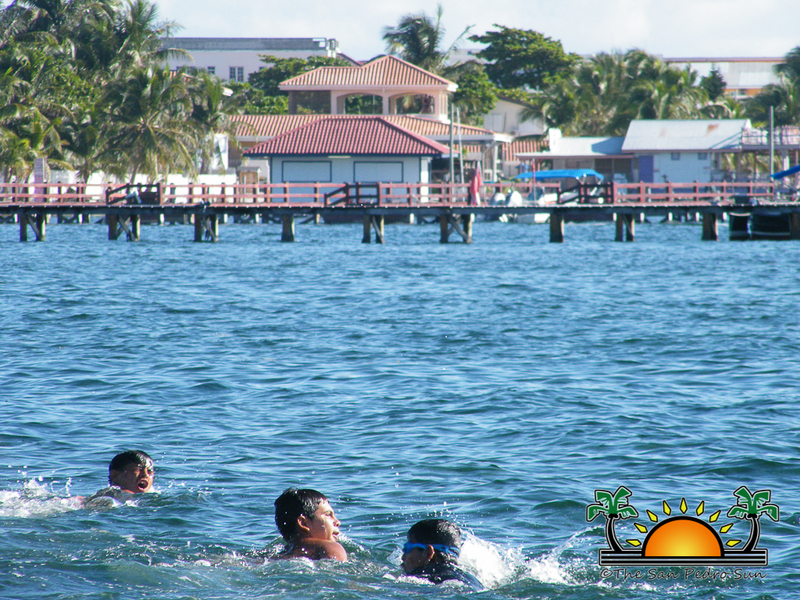 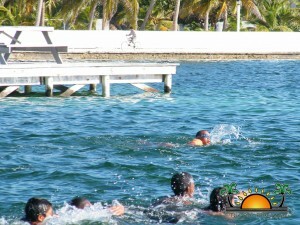 The two leg U-20 competition started from the Belize Yacht Club dock and saw the 18 athletes swim a distance of 100 meters and run a total of almost two miles eventually ending at the Boca del Rio Park. 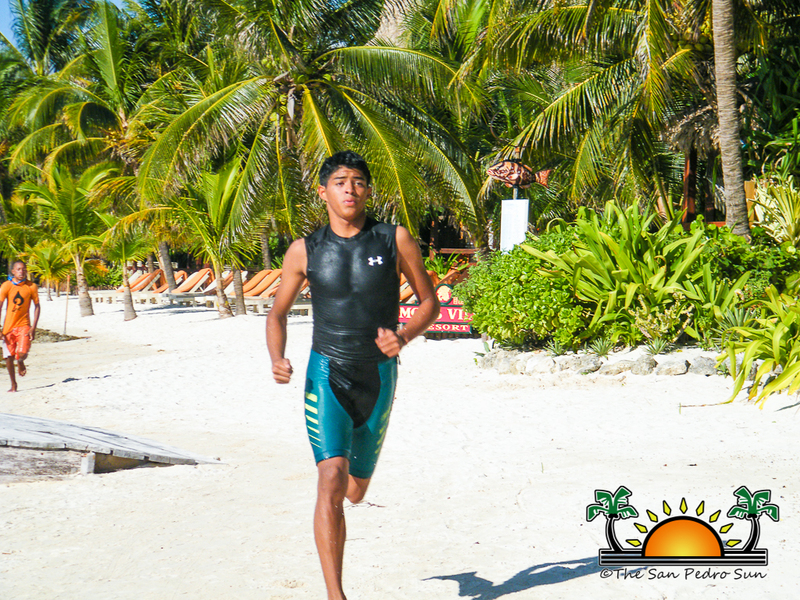 The youngest of the athlete was nine-year-old Christopher Acusto currently enrolled at the San Pedro Roman Catholic Primary School. 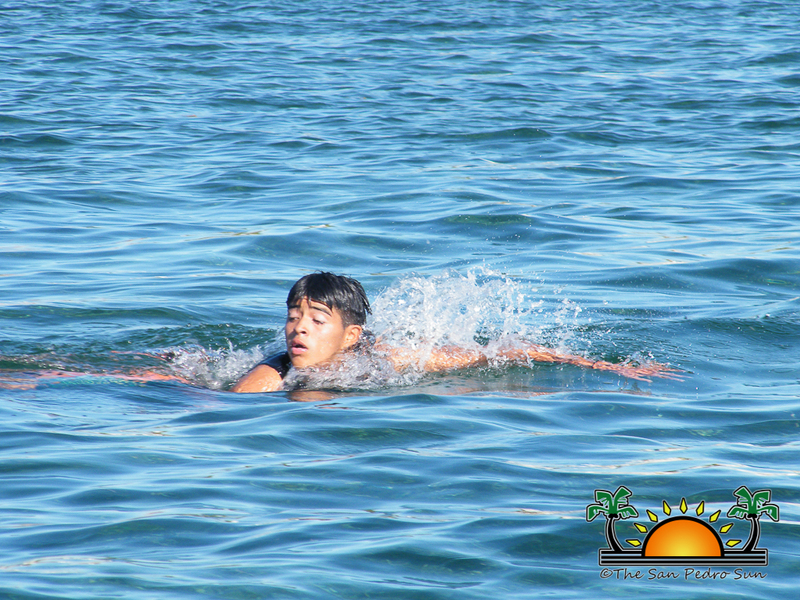 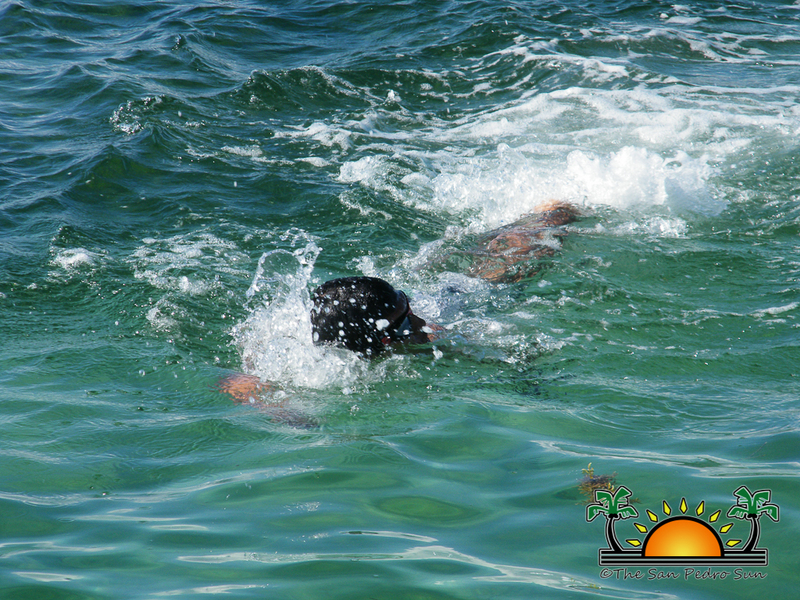 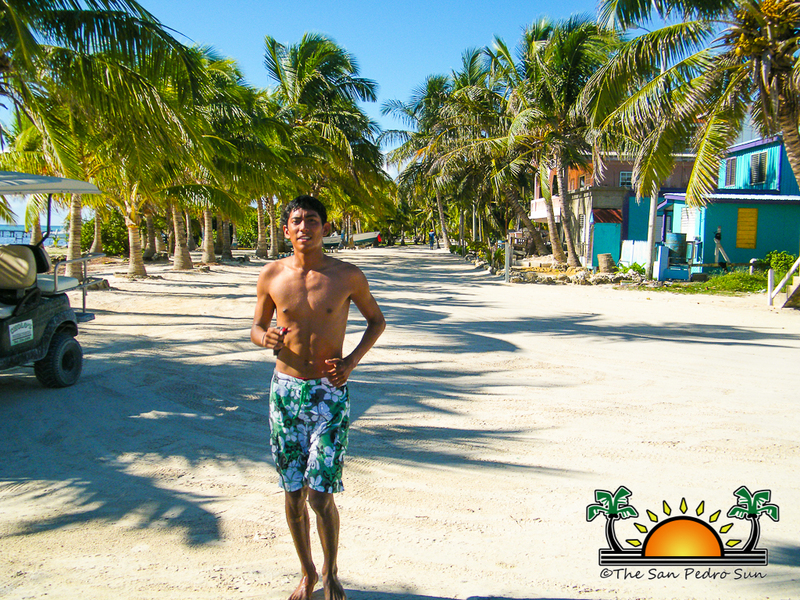 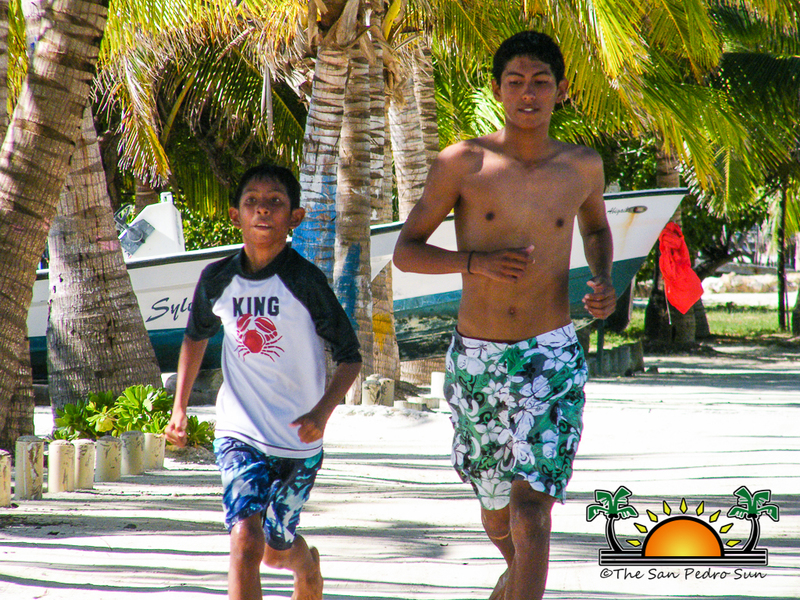 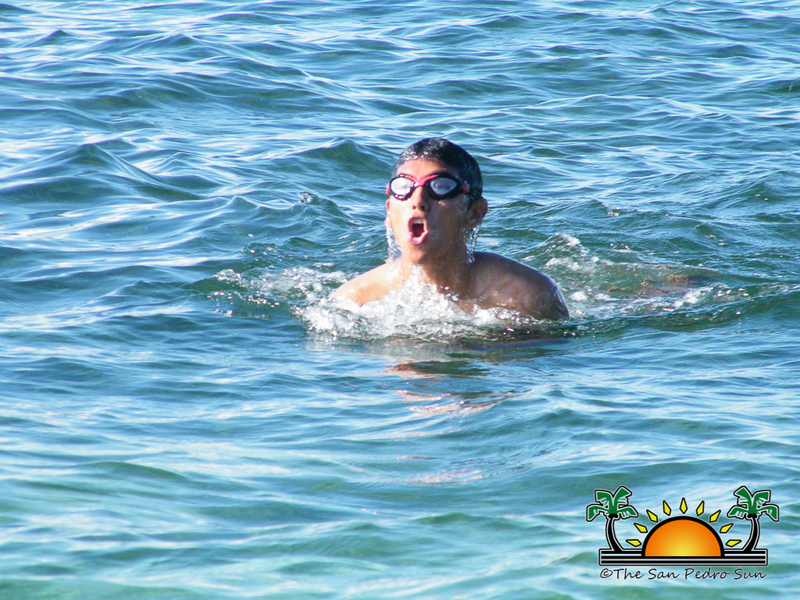 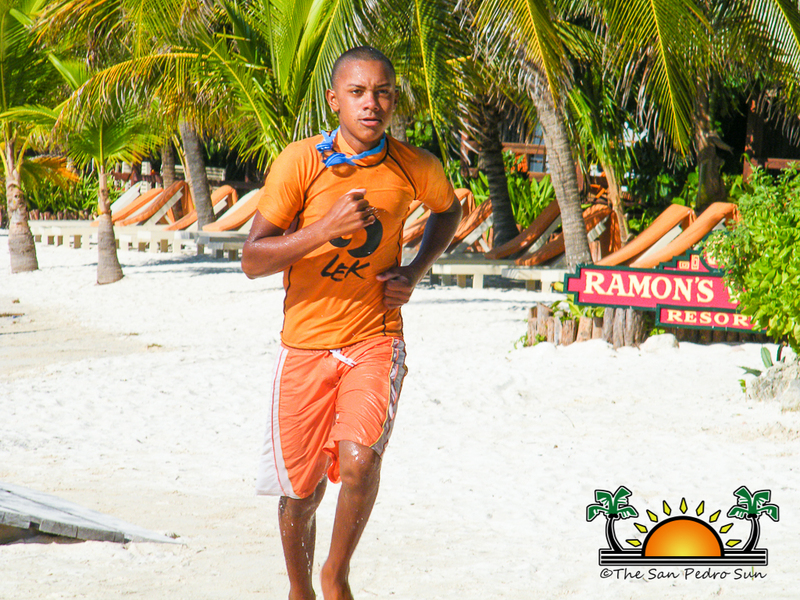 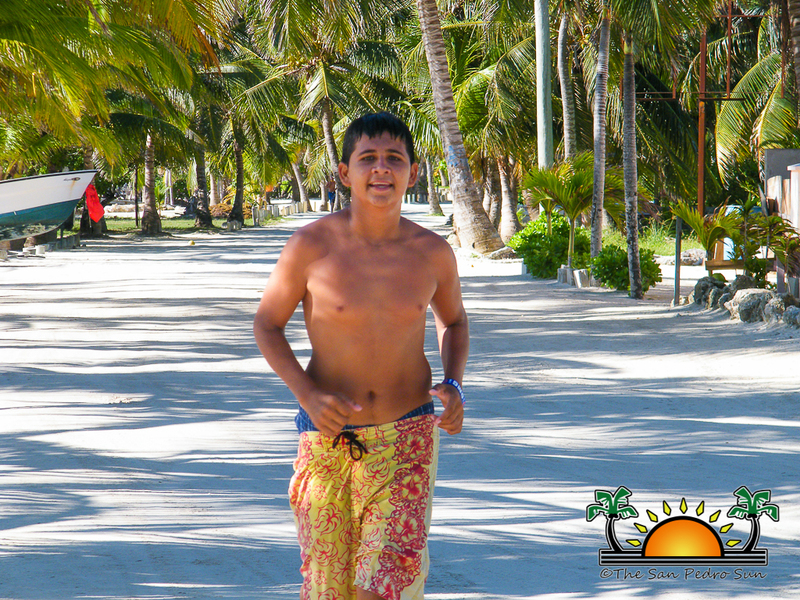 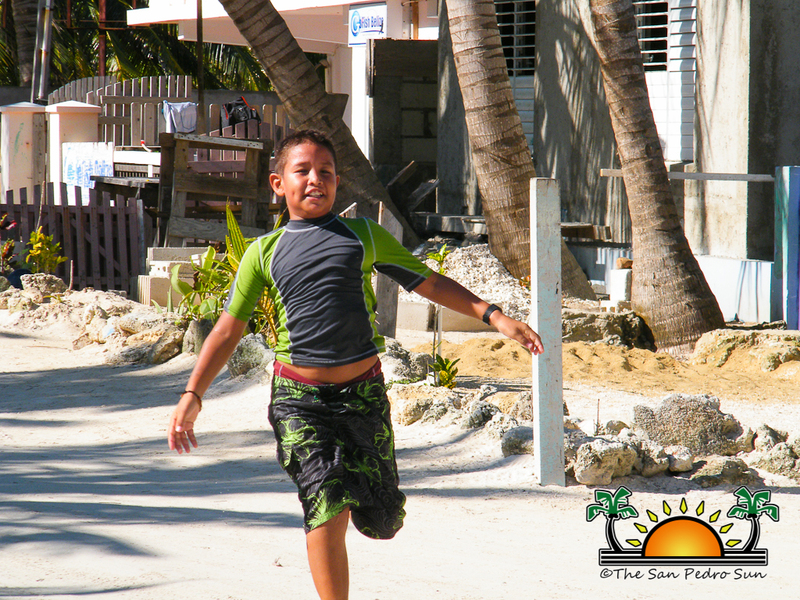 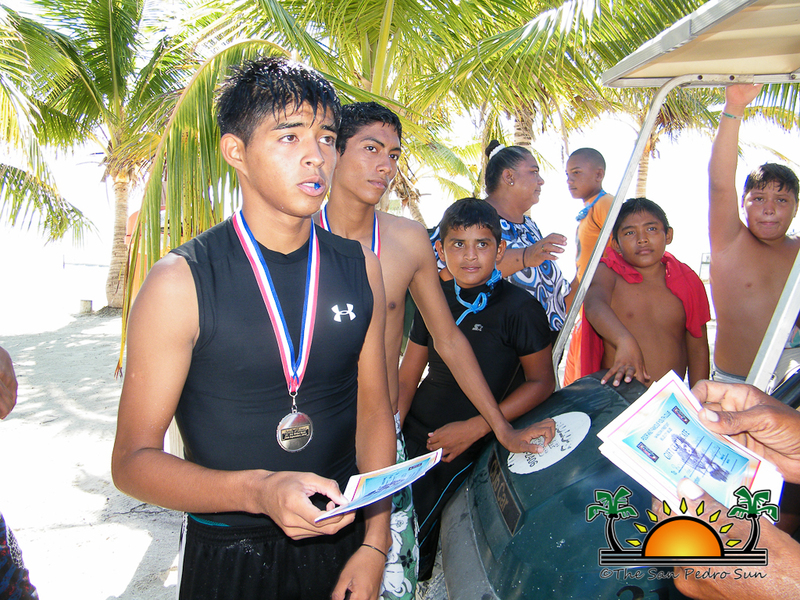 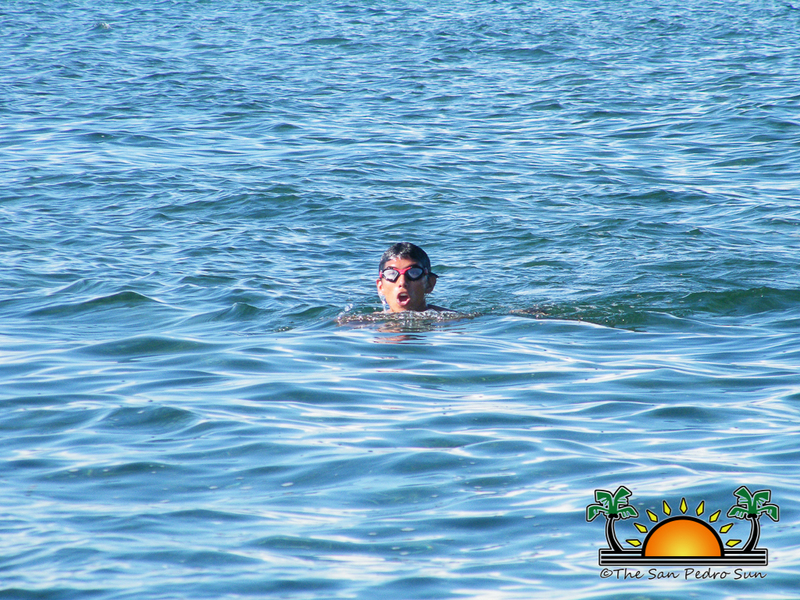 In the first leg of the competition, which included swimming the distance from the Belize Yacht Club dock to the beach in front of Ramon’s Village Resort, Donis managed to emerge first out of the water at 9 minutes 23 seconds, a little over a minute lead over the larger pack of swimmers. 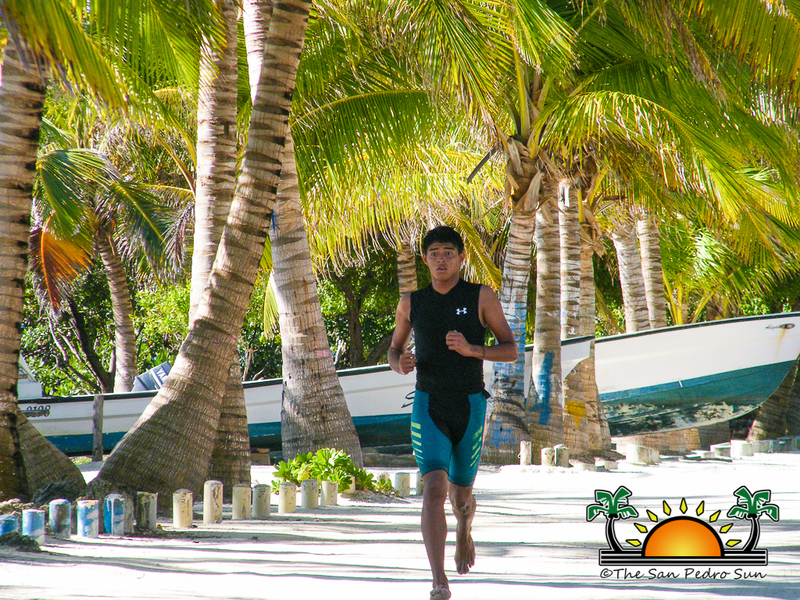 Donis then carried the lead in the other half of the competition running alone and finishing at 6 minutes 40 seconds, almost 2 minutes ahead of the second place competitor Brandon Santos. 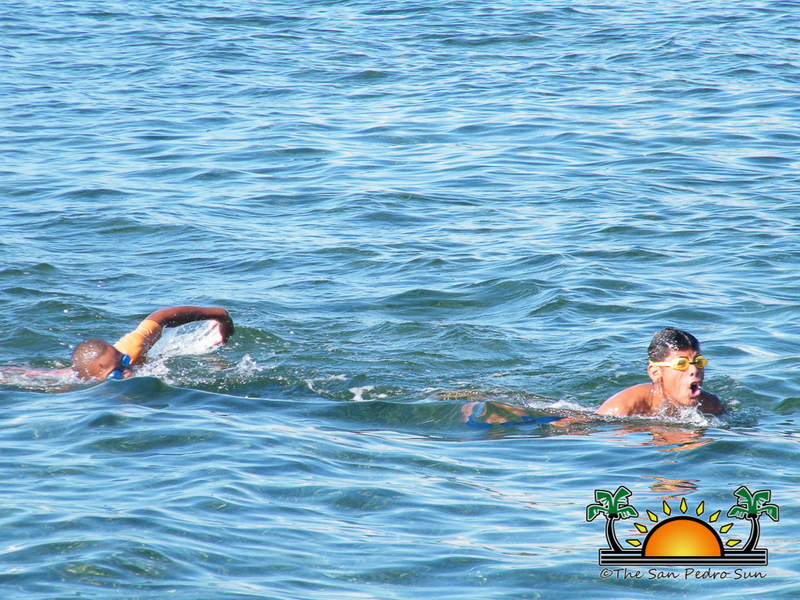 Donis finished in a combined time of 16 minutes 3 seconds, Santos who was the defending champion finished in a total combined time of 17 minutes 40 seconds while Byron Laura came in third at a combined time of 19 minutes 26 seconds. 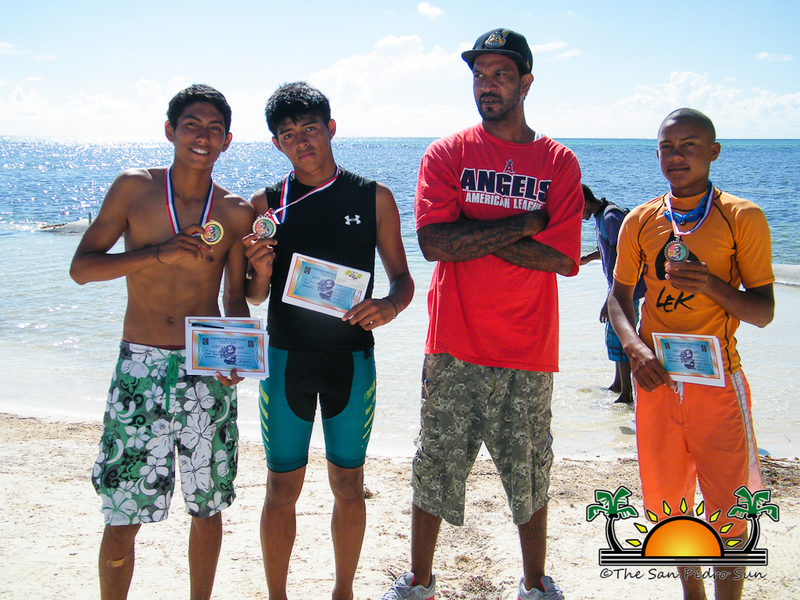 The other top 10 finishers are 4th place Jason Estrada, 5th place Alexander Pineda, 6th place Kian Ancona, 7th place Emir Marin, 8th place Jordan Santos, 9th place Horace Cadle and 10th Jason Barrientos. 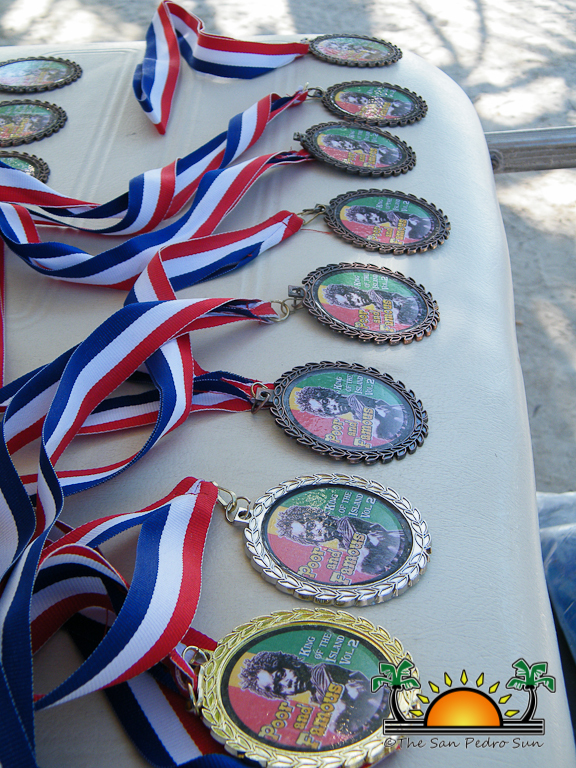 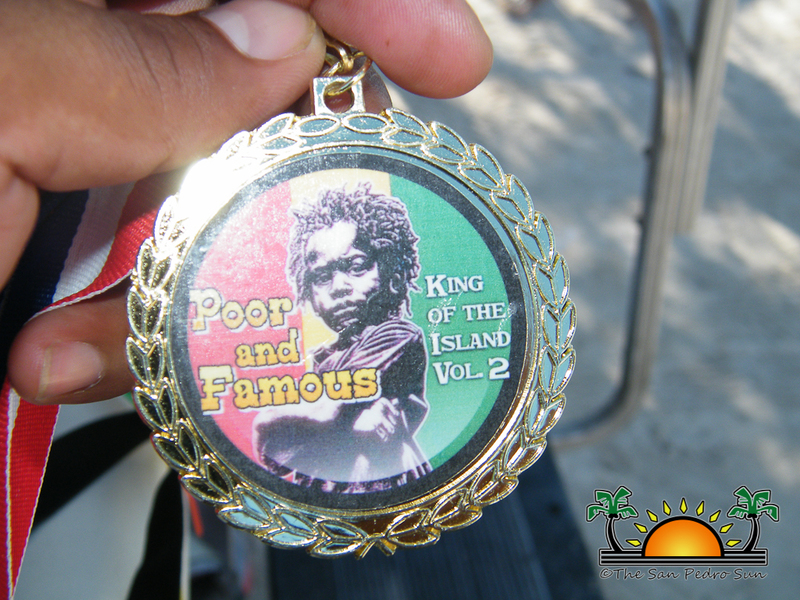 The top 10 finishers received a variety of gifts along with medals, and the top 16 competitors were awarded medals as well. 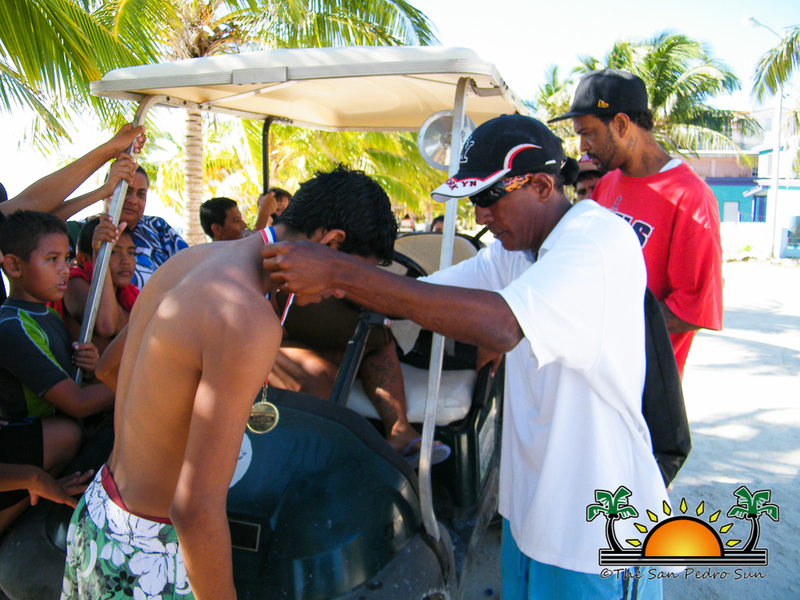 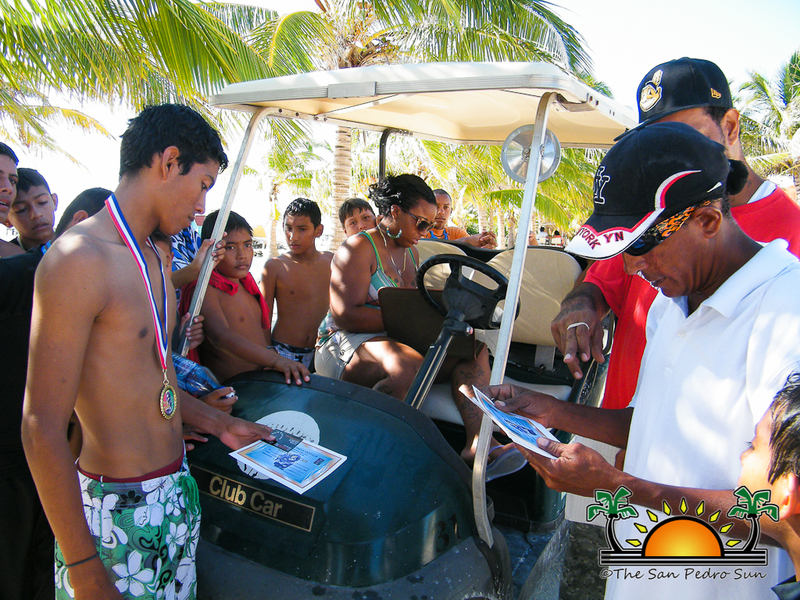 The event organizers take the opportunity to thank all those who assisted in making the event possible, including the Belize Bank who donated the medals. 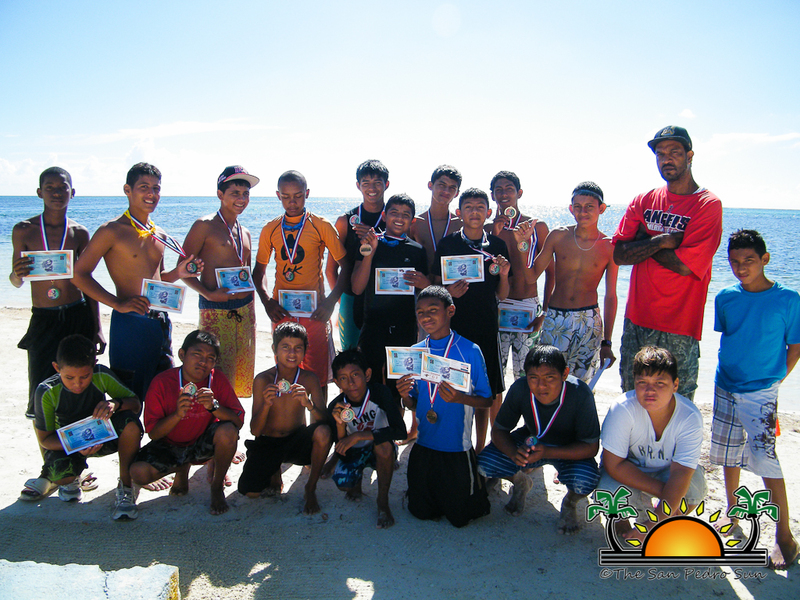 Congratulation to all the winners and participants! 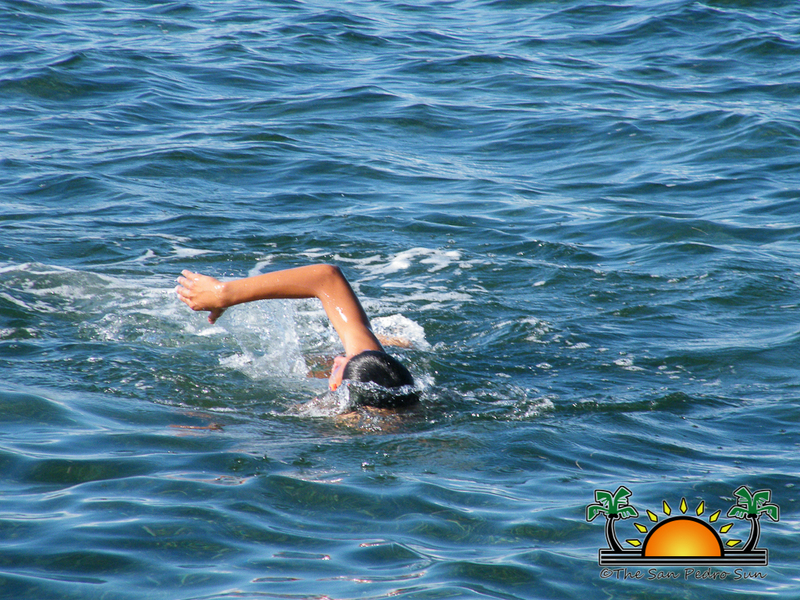 Sponsors for the event: Manelly’s, Reef Adventures, Boaz Golf Cart Rental, Hidden Treasure Restaurant, Ballers Barber Shop, Exotic Bamboo Arts, Liquor Box, Train Station Fitness Club, Ambergris Divers, Bistro Mestizo, G & H Golf Cart Rental, Geo Hideaway Café, Ecologic Divers, Gabby Construction, San Pedro Sailing Club, American Crocodile Education Sanctuary, Wet Willy’s, Mail Box Etc., Waruguma Restaurant, Island Divers Belize, Caribbean Connection Internet, Belize Ocean Divers, El Patio Restaurant, Licks Beachside Café, Island Movies, DJ Burger & More, Latitude Café, Sunset Restaurant, Irie Belize, Island Dog Graniel Construction & Dreamland, Tropic Air, Tres Pescados Fly Shop, Captain Morgan’s, Mata Chica Resort, Portofino Beach Resort, Victoria House, Go Fish, Sandy Point Resort, Cholo’s Golf Cart, Xanadu Island Resort, Premium Wine and Spirits, Captain Shark, Pelican Reef Villas, Sew What, Fido’s, La Isla Bonita Internet Café, Go Nature Healthy Food Store, CT Parts, Pirates Pizza and Belize Bank.